A lively resort on Yorkshire's seaside holiday coast with perhaps the most panoramic clifftop views you could find, the family will love this all-action Park where it's all go in the new improved pool complex, or one of the many fun facilities available. Or simply take a gentle stroll on the coastal path beside the Park. Here, you can relax in your own way. Each day is your own - maybe start off with a Character Breakfast to fill you up read for a morning at the go-kart track or learning some fencing skills. Lunch out at a local pub, or how about hitting Papa Johns pizza before shooting off to the fantastic pool complexes with tumblewave slide. 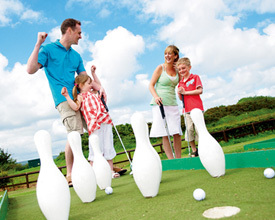 Or just relax - spend the afternoon on Filey beach, before heading off for a round of Crazy Golf. Still have energy left? Head off to the ShowBar for a drink, live music and dancing. Blue Dolphin Holiday Park offers the following facilities. The Park lies directly on the A165 between Scarborough and Filey. 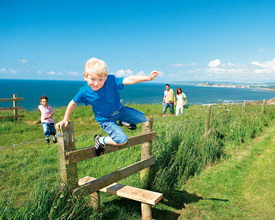 The Blue Dolphin Park is situated approximately 2 miles North of Filey. Located on the Yorkshire coast, high above the beach, with superb sea views, this Haven park is a perfect place to spend a family holiday. As well as the picturesque Yorkshire Dales covering 553 sq. miles, you'll have the chance to explore the North York's moors, and the Victorian resort of Scarborough, scene of Yorkshire holidays for generations! Scarborough is divided into two bays - North Bay and South Bay. In the North Bay area there are attractions such as the Miniature North Bay Railway, Scarborough Sea Life Centre and Peasholm Park. Cafes, amusement arcades and restaurants are located in the South Bay area. This huge, cliff-top Park is loved by walkers for its great location on the Cleveland Way coastal path and attractions of the North York Moors. Families enjoy the local towns and cities like York with its towering cathedral or see how the Vikings lived in the fascinating Yorvik Centre while Flamingo Land is a great change of pace. 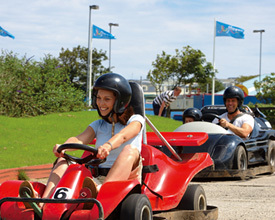 Have you been to Blue Dolphin Holiday Park? Please submit your review so that others can benefit from your experience. Important note: Information provided here about Blue Dolphin Holiday Park is based on our best knowledge. 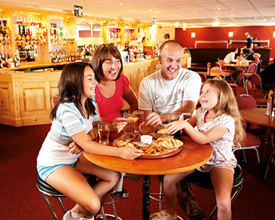 However, please check with Blue Dolphin Holiday Park before booking to ensure that you have the information required. 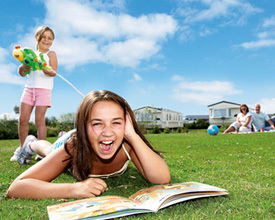 Reviews are the sole views of the contributor and do not necessarily represent the views of CampsitesandCaravanParks.com or Blue Dolphin Holiday Park.